Collaborations with our partners start in many different ways. In most cases, a technical feasibility study helps to evaluate the compatibility of the specific drug formulation and eFlow® Technology platform. This may include experiments on nebulisation and aerosol properties with different configurations of the eFlow Technology platform and different drug formulations. PARI’s Aerosol Services laboratory is equipped and experienced to perform such studies. During pre-clinical and clinical development, PARI supplies nebulisers for the administration of the specific drug product and provides support for regulatory filings (e.g. device sections for IND filing). 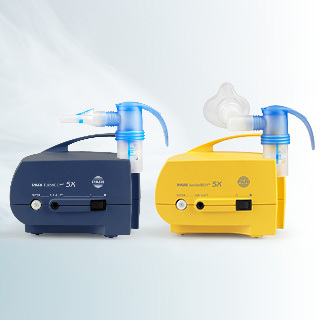 Dedicated project teams optimise the eFlow® Technology nebuliser to meet the special needs of the target patient population in addition to tailoring the device for use with the specific drug formulation. As part of our services experts at PARI may provide advice for optimizing certain aspects of the formulation to the eFlow® Technology platform to enable shortest possible inhalation treatment. After regulatory approval, PARI supports the launch and commercialisation of the drug-device combination by meeting demands for device supply and customer service in worldwide markets as well as by life-cycle management activities for the device. Along with development of the product, comprising a specific drug product and an optimised eFlow® Technology nebuliser, the partnership evolves with mutual commitment. PARI grants exclusive rights to the use of the eFlow® Technology platform in specific fields which can expand/extend the proprietary status of the combination products even beyond the level of the patent protection of drug and device combined. Since 2010 six inhaled medicinal products which are administered via eFlow® Technology nebulisers were approved by regulatory authorities wether in the US, Europe or Canada. PARI contributed to such filings with its expertise in medical device regulatory affairs. Following PARI’s tradition, eFlow Technology nebulisers are manufactured according to the highest quality standards. 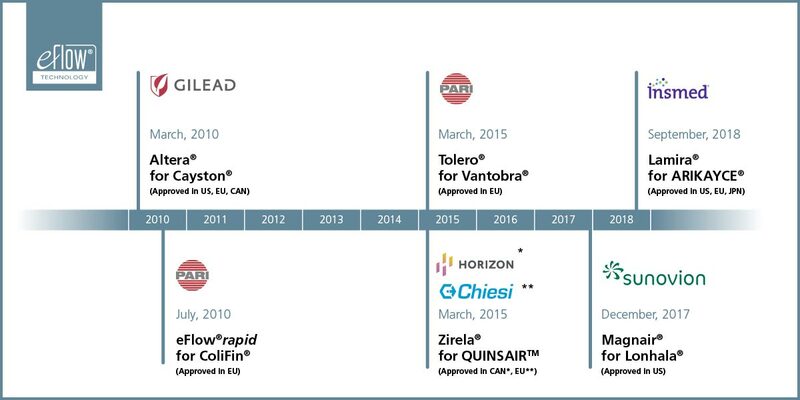 Frequent and recurrent quality system audits by our pharma partners confirm this year after year. Cayston® is a registered trademark of Gilead Sciences Inc.